Potopul ce a urmat m-a transformat. Niciodata, nu mai voi opri pana cand se va implini. Si voi demonstra ca in Romania chiar se poate. Pana cand intr-o zi, nu va mai fi. Cand toti erau impotriva ,impotriva mea. Si sa caut iesirea la infinit. sa gasesc iesirea si s-ajung la el. 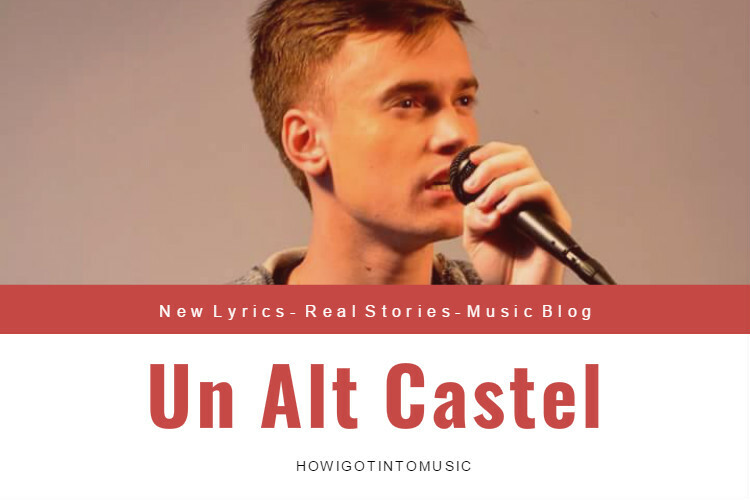 I wrote 'Un Alt Castel' [a romanian song] because as you know music is my ultimate dream. And even if this dream looked kind of impossible in it's early stages I never stopped chasing it. I started songwriting after my attempt to commit suicide in my 7th grade, so singing came kinda natural even if then it was kinda bad. But, no one is perfect in the beginning, so I started practicing and here I am. I hope you liked the song and if you have a dream work for it. Do not complain, do not waste time, just do it.